Shea is one eight lawmakers appointed to a task force to figure out how the Washington Legislature should keep and disclose public records. Shea, a Republican from Spokane Valley, has long had a contentious relationship with the news organizations that report on him. But this time the situation is unique: Shea is one of eight lawmakers appointed to a task force to figure out how the Washington Legislature should keep and disclose public records. That task force comes as the state Legislature faces a lawsuit brought by news organizations — including The Associated Press and The Seattle Times — questioning its long-claimed exemption from Washington’s Public Records Act. Such a negative opinion of journalists could affect his work on the task force, said Noel Isama, of the Washington, D.C.-based Sunlight Foundation. “We obviously don’t think that they [elected officials] should be demonizing the media in any way,” said Isama, a senior policy analyst with the organization, which advocates for open government. The task force includes eight lawmakers — two members from each political party in the House and two each from the Senate — as well as representatives of the media, including an editor from The Seattle Times. House Minority Leader J.T. Wilcox, R-Yelm, said Shea was chosen because he has experience in the subject and also is an attorney. Shortly after Shea’s remarks about journalists spread around Twitter, Wilcox offered his own appraisal of the media in a Facebook post. But he said that post was not put out in response to Shea. Wilcox said he didn’t know the context of Shea’s remarks, but said Shea has told the minority leader that he has had “specific incidents” with news reporting. Shea, who often ignores requests by journalists, including queries by The Seattle Times last month on his practice of blocking constituents or members of the media from his social media accounts, didn’t respond Monday to emails or a phone call seeking comment. “The expectation is clear that you leave your biases at the door, other than your own opinion” of the Public Records Act, said Springer. While journalists and the Legislature have “been in a different place over the years” with regards to what records should be public, Springer said he hoped the task force would produce an honest and fair conversation. 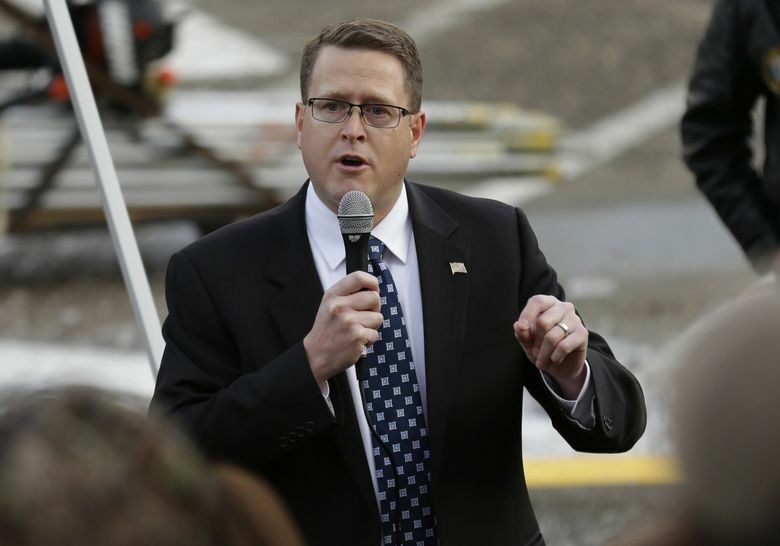 The task force was created after a court ruled in January that legislative leaders had violated the Washington Public Records Act by denying requests for records. In the meantime, lawmakers this winter swiftly passed a bill that would open up some future records while keeping old records secret. SB 6617 also removed the Legislature from the Public Records Act and barred independent judicial review if someone wanted to challenge a denial of records. After a public outcry, Gov. Jay Inslee vetoed the bill, and lawmakers and news organizations agreed to meet as a task force. Shea had urged passage of the bill in a speech on the floor. He praised the legislation for making communications between lobbyists and lawmakers a public record, and for keeping confidential sensitive emails from constituents to lawmakers. And he criticized the reasoning of the court decision, which ruled that lawmakers’ offices are state agencies and thus subject to the Public Records Act.